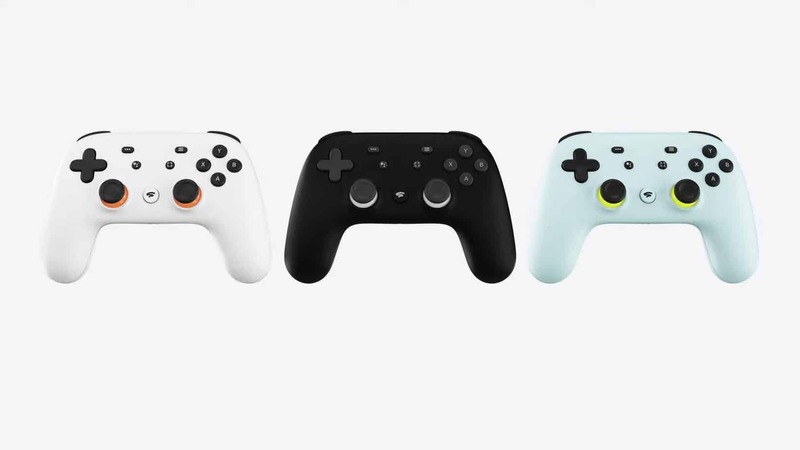 [UPDATED] Google GDC Keynote unveils Stadia, their "vision for the future of gaming"
With the success of their recent Project Stream game streaming testing, there has been much speculation about what Google will be announcing at GDC 2019. Well, here we are, and the day for the Google GDC Keynote has come! In case you want to follow along (or missed it), you can watch it below or skip past the video for our full recap. As with most keynotes, this one started out with a brief video clip of what is obviously game environments. Starting slowly, it slowly sped up as it repeated and Sundar Pichai, Google’s CEO, took the stage. Straight out of the gate, he admits that he isn’t a big gamer. Pichai quickly segued into how gaming backgrounds help with problem-solving as well as its importance in Google’s work with AI. According to Pichai, the biggest benefit of gaming is how it pushes technology and bandwidth. Google has been working for the past two years on game streaming. The Project Stream technical test last year was more than just a technical test — it was a test to bring high-fidelity graphics to any device through Google Chrome. With 19 regions, 58 zones, and over 200+ countries with Google data centers, the company is well positioned for game streaming. With Google, games will be immediately discoverable via Google Chrome, Chromebooks, Pixel devices, and more to over 2 billion users. Google’s next big effort is to build a game platform for everyone. Yes, everyone. With gaming, there are a lot of barriers. Not all systems can deliver the best graphics due to technical requirements. 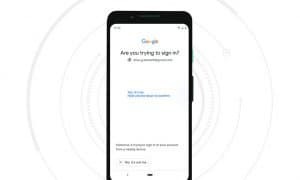 Like other services, Google believes gaming should be easily accessible and instant for all users and should join gamers, viewers, and developers. 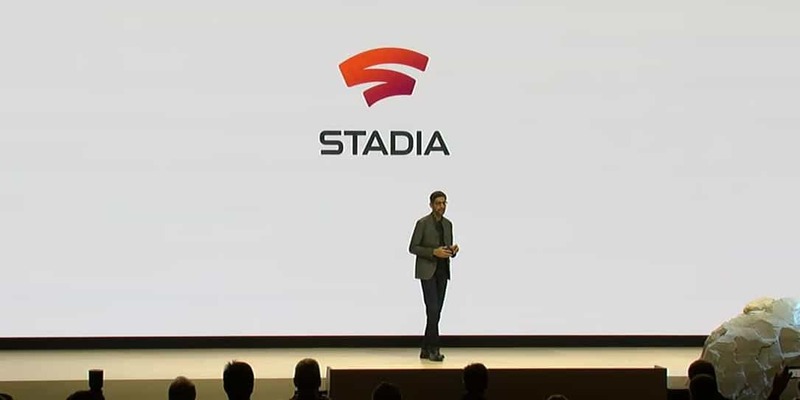 Google’s game streaming video shows gamers, viewers, and developers interacting and introduces the name as Stadia. Pichai then introduces Phil Harrison (former corporate vice president of Microsoft) who joined Google about a year ago. The vision of Stadia is simple: “one place for all the ways we play. It’s focused on gamers, inspired by developers, and amplified by YouTube Creators.” With 2 billion+ gamers around the globe, gaming is the single biggest form of entertainment in the world. Harrison spoke a bit about Project Stream which streamed Assassin’s Creed Odyssey in 1080p at 60fps over Google Chrome. Google was overwhelmed with the positive feedback. With Stadia, you can be watching a game stream on YouTube, click a Play on Stadia button and be playing in as little as 5 seconds with no downloads, updates, or anything. 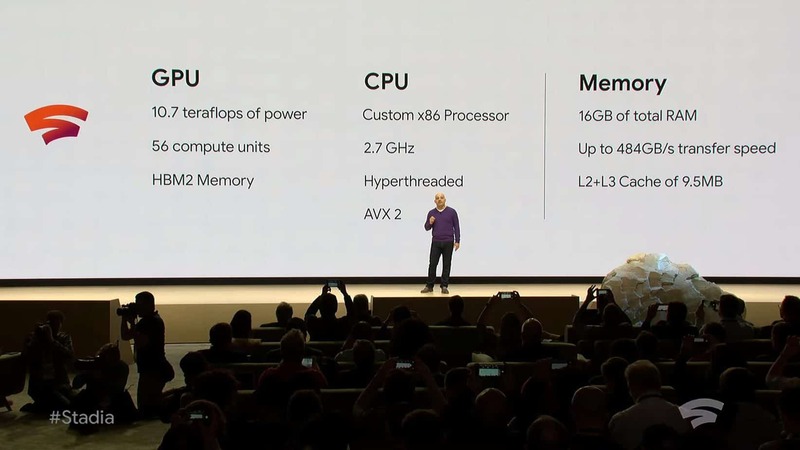 At launch, Stadia will be compatible with desktops, laptops, TVs, tablets, and phones with a single codebase. Google then demonstrated the same game running on a Chromebook, Pixel 3, low-end PC, Pixel Slate, and finally a TV with a Chromecast Ultra. Of course, gaming is more fun when played together and Stadia’s Crowd Play feature will allow players to easily join games with other players and YouTube streamers. Gamers will be able to play on devices they already own as well as controllers they own. In addition, the Stadia Controller will connect over Wi-Fi to the control the currently playing game. The capture button lets you save and share your game experience to YouTube. The Google Assistant button allows gamers to get assistance using the controller’s built-in microphone. During the Project Stream test, Google was able to stream at 1080p 60fps, and stereo sound. At launch, Stadia will deliver up to 4K, 60fps, with HDR and Surround Sound. In the future, 8K, 120fps gaming will be possible. In addition, you can simultaneously stream to YouTube at 4K 60fps while gaming. On the backend, for the developers out there, a custom Hyperthreaded x86 CPU with 10.7 teraflops of GPU power, 16GB of RAM and up to 484GB/s of transfer speed makes up a single Stadia instance. For comparison, the PS4 Pro has 4.2 teraflops while the Xbox One has 6.0 teraflops. Stadia runs on Linux and the Vulkan graphics API. Technical specifications of a single Stadia instance. Stadia will be launching later this year in select countries including the U.S., Canada, U.K. and much of Europe. Pricing has yet to be announced at this point. In the meantime, head over to the Google Stadia website to sign up to be notified when it is available. What do you think about Stadia? Let us know in the comments below or on Twitter, Facebook, or MeWe.